Début CD single by Irish duo featuring Big John on vocals. Two live tracks and a bonus video included. UltanJohn are Ultan Conlon and John Conneely from Co. Galway, Ireland. The Single features three songs and a bonus video that was shot in Kinvara summer 2006. First pressing had 2,000 copies packed in cardboard sleeve. Really Gone was recorded at Ross Studios, Clarenbridge. It was played for the first time on RTE Radio One the 18th October 2006, in John Creedon's Late Date. The song was also included as closing track in Ultan Conlon's debut solo album Bless Your Heart (November 2009). Ultan Conlon recycled it in 2010 on a 3 track CD The Universe Tune (Darksideout records), also as closing track. "UltanJohn remind me of a younger version of myself" - John Martyn. Both John Conneely and Ultan Conlon regard John as a hero, they told the Galway Advertiser 26 October 2006. Following a support slot to Martyn in Cork, 'Big John' was impressed by the duo's songs and asked to record with them. 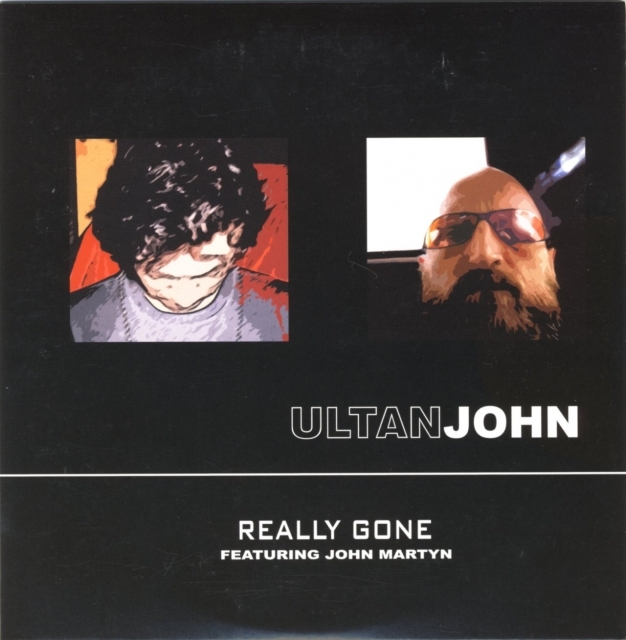 The result was UltanJohn's debut single, the blues tinged duet with John Martyn 'Really Gone'. The gig mentioned took place at the Cork Opera House, 3 August 2005. John liked the duo so much they were offered a second support act the next day, at Dolans Warehouse (Limerick). The resulting single was officially launched with a gig in The Crane Bar, Sca Road, Thursday 2 November, but to my knowledge John was not present at that occasion. "When we went to record the song, John Martyn was 'Where's the lyrics?'. We thought he was just going to play the guitar; we never thought he would sing with us! We spent the early afternoon with him in a pub, the late afternoon in the studio, and in the evening he cooked for us! Once we got past the fact that this was John Martyn who wrote 'May You Never' and 'Solid Air', you closed your mouth, stopped drooling, and found he was a real gentleman. He quelled all our fears very quickly. He had no airs and graces." The duo chose the name UltanJohn partly for strategic reasons: the name could stick in people's heads because it may remind them of Elton John on a subconscious level. Google seems to support this homegrown theory. The live tracks were recorded at The Auld Plaid Shawl, Kinvara. The video file was recorded live on the same occasion on Sony High Definition Video. "UltanJohn would like to thank the following people: Teresa & John Martyn/ Michael Burke jnr/ Bernie Murphy/ Smasher Hayes/ Dbrandt/ Daniel Harris/ Keith Twamley/ Tikkikate/ Tikkinatalie/ J Quinn/ EVGBS/ The Conlon\Hough Massive/ CAJMCB/ Stephano and everyone we may have overlooked, thanks and much respect to you all... UltanJohn."